They are having some excellent prizes that are worth fighting for…as a great roadwarrior! I really like GoGo! I used them when I was heading back home from the US after our BACON conference in Vegas and it was so cool to have wifi onboard. I wish we in Europe could get some more of those soon. 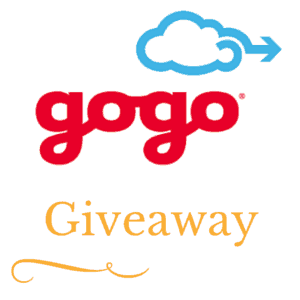 If you are feeling extra lucky today I have decided to run my own little giveaway of 4 GoGo vouchers I have available. After all I am part of this awesome travel family too. The vouchers are only for US Domestic flights so if you have any flights planned in the US or you live in the US then this is the place to be. Once the competition is closed I will automatically select 4 winners and email you the codes. All codes need to be used by 30/06/2015. Too bad for us who don’t use social media; we can’t play…. !